In an extended article in the August, 2016 issue of Guns Magazine (“The 1-Gun Solution”), Will Dabbs discusses the Daniel Defense DD5V1. When it came to wringing out this .308 Win. 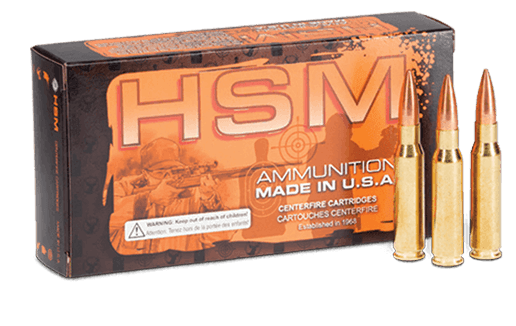 semi-auto on the range, HSM’s 168 gr., HPBT Match ammunition turned in a most impressive 0.65” group at 100 meters. The other five big-name competitors weren’t anywhere close. This is not atypical performance for HSM Match. Try it and you will see for yourself. Start shooting extreme long range today.